Back to David R. Cook Jr.
David’s construction and procurement law practice includes complex litigation and transactional matters for clients that range from owners, such as the state and local governments, to contractors, subcontractors, and suppliers. He has handled litigation involving the Georgia World Congress Center and other large state and local facilities; multiple interstate, highway, and bridge projects; federal projects and military bases and housing facilities; distribution centers; courthouses; school buildings; college dormitories and athletic facilities; condominiums; and residential and commercial developments. He assists construction clients in avoiding and minimizing claims, resolving disputes, and closing out problem projects. Read about each practice area below. David’s construction and procurement practice centers around owners – both public and private – and their unique needs in the construction industry. For public owners, he provides a broad range of construction and procurement advice. He provides guidance on each step of the public-works process, from the bidding and contract-negotiation stage through final project close-out. 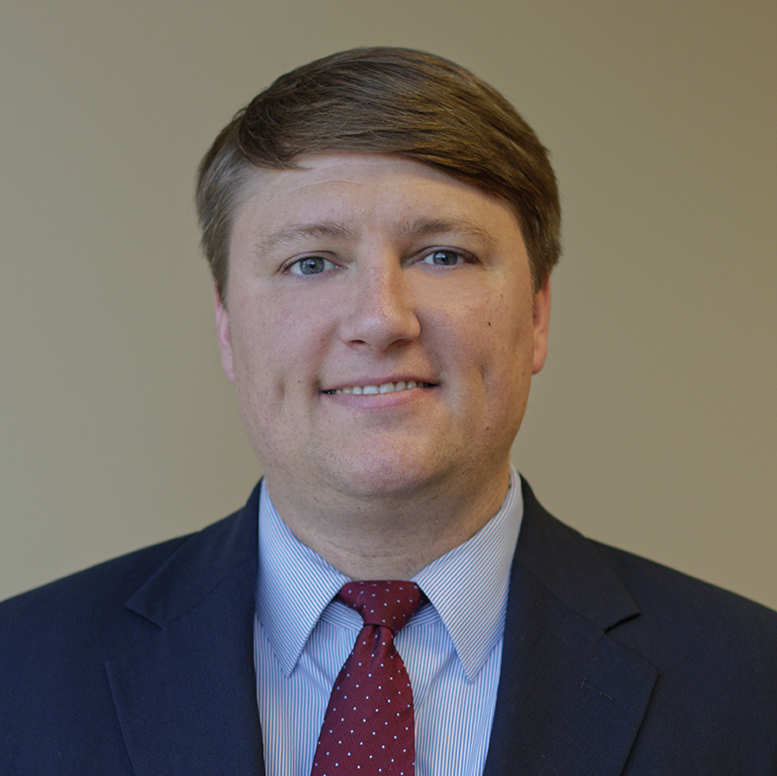 David ensures that public owners comply with constitutional, statutory, regulatory, local codes and ordinances, and other legal constraints in procuring public works and services, such as rules applicable to competitive bidding and requests for proposals. He has much experience in drafting construction, architectural, engineering, and other relevant contracts, including surety bonds. David is a staunch advocate from the owner’s standpoint at every stage of a project. In the contract-negotiation stage, David helps owners avoid one-sided and onerous form contracts that place owners in a difficult position at multiple points during any project. He negotiates contracts that recognize owners typically do not have the same skill set as contractors, architects, engineers, and other service providers. Accordingly, his contracts emphasize the responsibility of those hired by the owner. Many owners experience the “problem project.” David has been called upon by owners to bring these projects to completion through negotiation with stakeholders, while preserving owners’ rights against the responsible party — whether the contractor (including its surety and insurance carrier), architect, engineer, or other project participant. In connection with such matters, he ensures owners properly identify and document instances of defective work or other performance defaults, minimize arguments of spoliation and surety discharge, and preserve all claims against the responsible parties. David pursues and defends construction claims, including claims involving non-payment, recoupment, delay, acceleration, impact, disruption, interference, lack of coordination, project mismanagement, wrongful termination, design defects and deficiencies, and differing or changed conditions. He seeks recovery and secures collection for clients by federal bond claims (Miller Act), state law bond and lien claims, and insurance coverage. His accounting background is a significant resource in assessing and calculating the financial impact of construction claims. With his familiarity of accounting software, records, and costs, he can identify and recover damages which would otherwise be forfeited by the claimant. “Part I: Key Provisions of School Facility Construction & Design Contracts”, School Construction News, April 25, 2018. “Part II: Key Provisions of School Facility Construction & Design Contracts”, School Construction News, June 13, 2018. “Spotting Problem Projects,” Independent Electrical Contractors Association’s Insights Magazine, October 3, 2017. “Contractors Should Understand the Different Types of Insurances Available in Construction Contracting,” Concrete Contractor, October 2, 2017. “Public Works and Procurement Law,” Institute for City and County Attorneys, September 15, 2017. “Handling the Problem Project,” The Contractor’s Compass (American Subcontractors Association), June 2017. “Resolving Disputes and Negotiating Contracts Without Breaking the Bank,” Construction Executive Magazine, April 28, 2017. “Top Ten Specialty Contract Provisions to Include, Exclude, or Modify,” Independent Electrical Contractors Insights Magazine, April 13, 2017. “Top Ten Considerations of Fiber Installation Contracts,” Rural Telecom Magazine, Spring 2017. “Procuring Legal Services on a Budget,” Construction Financial Management Association (April 2017). “Using Drones on Projects: Navigating the New Drone Rules,” Medical Construction & Design (September 2016). “Insurance Coverage for Damages Arising from Defective Construction,” The Litigator, Atlanta Bar Association’s Litigation Section (December 2013). “The False Claims Act for Construction Financial Managers,” Building Profits, Construction Financial Management Association, Princeton, NJ (www.cfma.org) (March/April 2013). “Energy Savings Performance Contracts: Rewards and Risks,” Building Profits, Construction Financial Management Association, Princeton, NJ (www.cfma.org)(November/December 2012). “No More Risky Business: Proper Contacts Can Mitigate Key Risks in the Procurement of Facility-Related Construction Services,” Facilities Engineering Journal, Association of Facilities Engineering (September/October 2012). “Energy Savings Performance Contracts: Risks and Rewards for Local Governments,” Georgia County Government Magazine, Association of County Commissioners of Georgia (July/August 2012). “Owners and Contractors Beware: Policy Endorsement Diminishes CGL Insurance Coverage for Defective Construction,” CFMA Newsletter (July 2012). “Can You Spot All the Construction Litigation Issues?,” Fall 2015. “Court Addresses Energy-Related Construction Project Gone Wrong,” Fall 2015. “Distinction Between Professional Negligence and Simple Negligence,” Fall 2015. “Georgia Amends Anti-Indemnity Statute,” Spring 2016. “Fulton County v. Soco Contracting Co., Inc.: Sovereign Immunity and Delay Claims,” Winter 2018. “Contract Provisions to Include, Exclude, or Modify,” Atlanta Chapter of the Independent Electrical Contractors Association, April 10, 2018. “Securing Construction Contract Performance,” Independent Electrical Contractors Association, April 4, 2018. “Contract Provisions to Include, Exclude, or Modify,” Independent Electrical Contractors Association, January 31, 2018. “Red Flags of Problem Projects,” IECCON – Independent Electrical Contractors Association, October 27, 2017. “Difficult Problems in Public Works, Bidding, Procurement, and Contracting,” Institute for City and County Attorneys, September 15, 2017. “Public Works Contracts & Procurement Law,” American Public Works Association, Georgia Chapter Annual Meeting, July 25, 2017. “The Basics of Construction Insurance and Performance Security,” Construction Management Association of America, March 22, 2017. “Key Issues of Public Works Contracts,” Georgia Association of State Facilities Administrators, September 2016. “Problem Projects and How to Handle Them,” Independent Electrical Contractors Association, September 2016. “Public Works Construction Tips and Liability Issues,” American Public Works Association, North Georgia Chapter, September 2016. “Energy Savings Performance Contracts,” American Public Works Association, Atlanta Chapter, August 2016. “FAA’s Rules on Commercial Use of Drones,” Associated General Contractors, August 2016. “Legislative Issues and Workarounds,” Independent Electrical Contractors Association, January 2014. “Fraud in Construction and the False Claims Act,” Construction Financial Management Association, Georgia Chapter, January 15, 2014. “Legal Aspects of Design in Road Construction,” American Council of Engineering Companies of Georgia, 2013 Georgia Transportation Summit, November 7, 2013. “Energy Savings Performance Contracts: The Georgia Perspective,” Construction Owners Association of America’s Spring Owners Leadership Conference, May 5, 2013. “Energy Savings Contracts from the Owner’s Perspective,” Facilities America, Association for Facilities Engineering, September 10-12, 2012. “Energy Savings Performance Contracts: The Local Government Perspective,” The 58th Annual Institute for City and County Attorneys, Athens, GA, September 8-9, 2011. The text and materials on the Autry, Hall & Cook internet site are for informational purposes only and are not legal advice. This internet site is not intended to create, and receipt of the information on this site does not constitute, an attorney-client relationship between you and Autry, Hall & Cook. You should not act upon the information contained in this internet site without seeking the advice of an attorney. Please do not send us any confidential information until after you have received from us a written statement that we have agreed to perform the legal services you requested.